UPDATE: Lionsgate have released an alternate web version of the new teaser without the interruption by District 13. This is the version now used on the US domestic Capitol website and other official channels. The previously released version is still available to view below and is what will be showing in cinemas with Dawn of the Planet of the Apes. Like the first teaser before it, this address is considered a teaser trailer and not just a viral video. It's showing in cinemas this weekend with Dawn of the Planet of the Apes. The next big promotional push for Mockingjay will most likely be at San Diego Comic-Con where Lionsgate are expected to hold a panel. Last year they premiered the full theatrical trailer for the film during the panel, so it wouldn't be surprising if this is the case again this year. Stay tuned as we find out more details about the event. 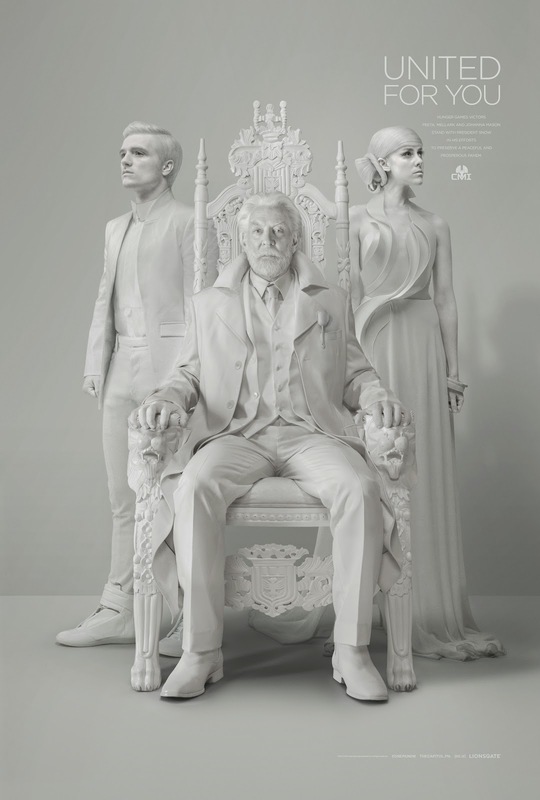 Let us know what you think of the new teaser and poster, and remember, we are all #OnePanem!